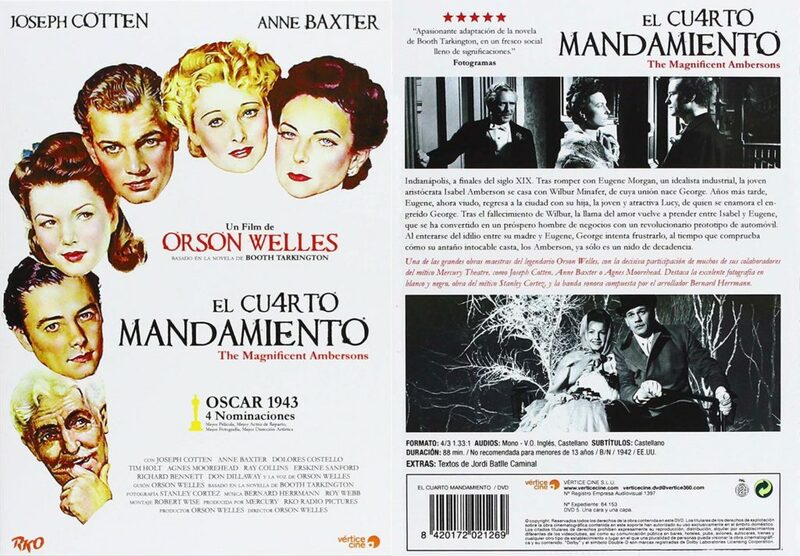 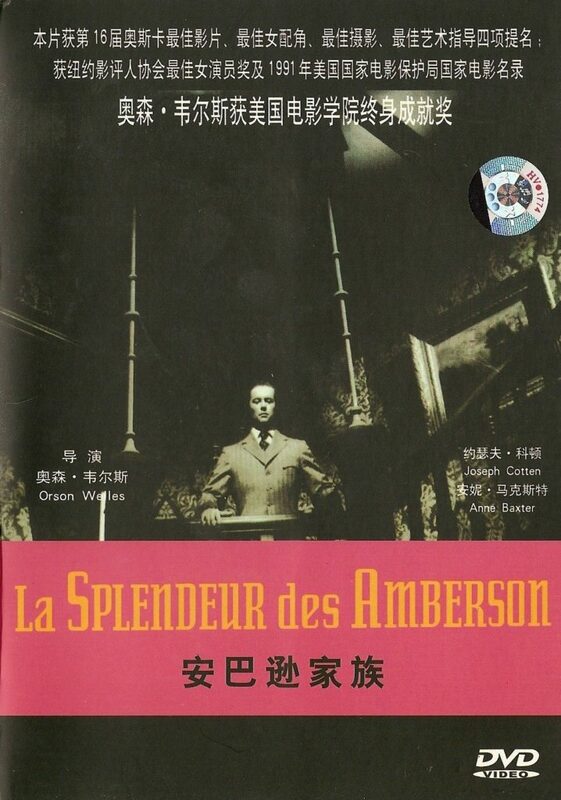 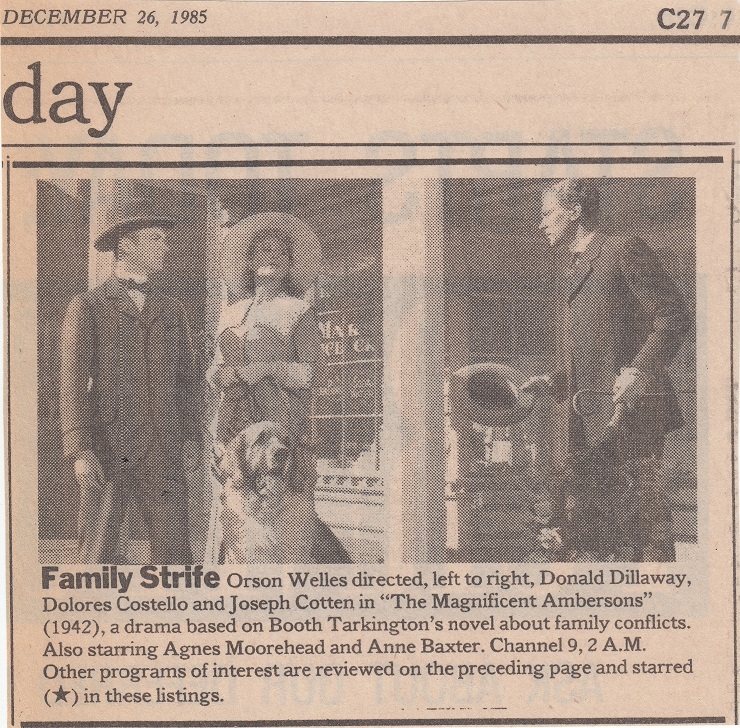 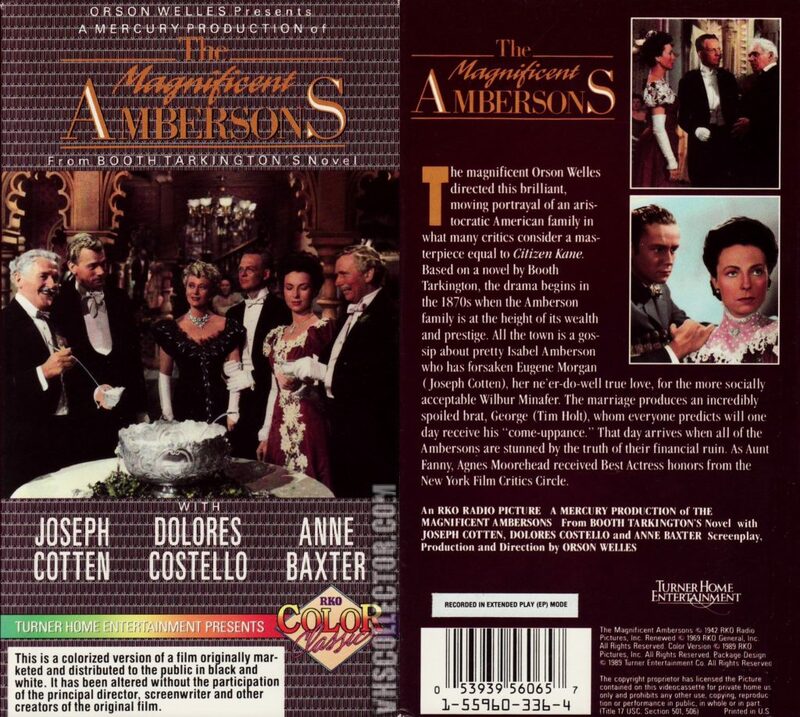 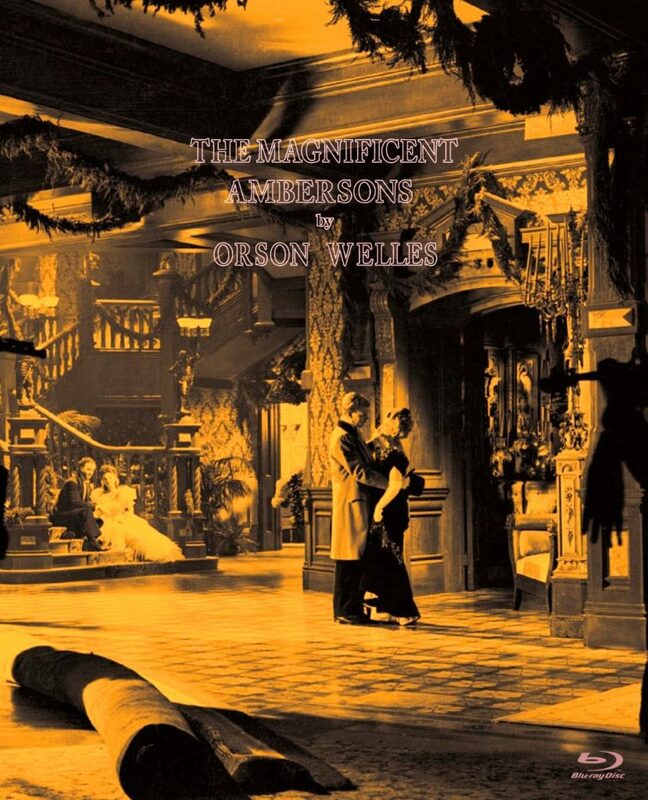 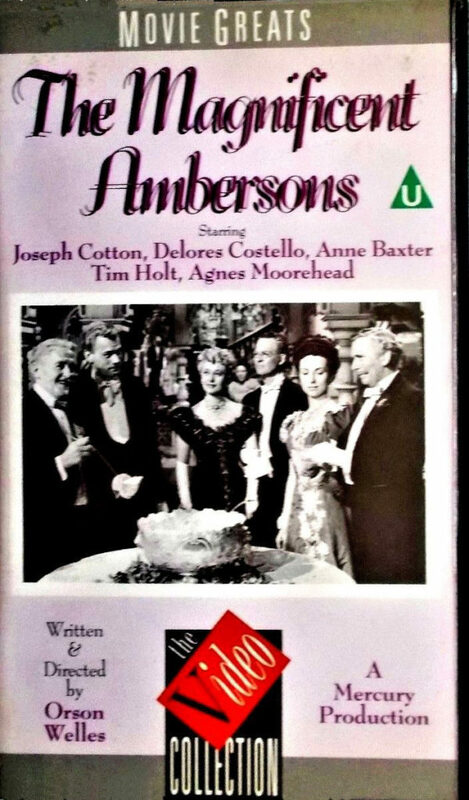 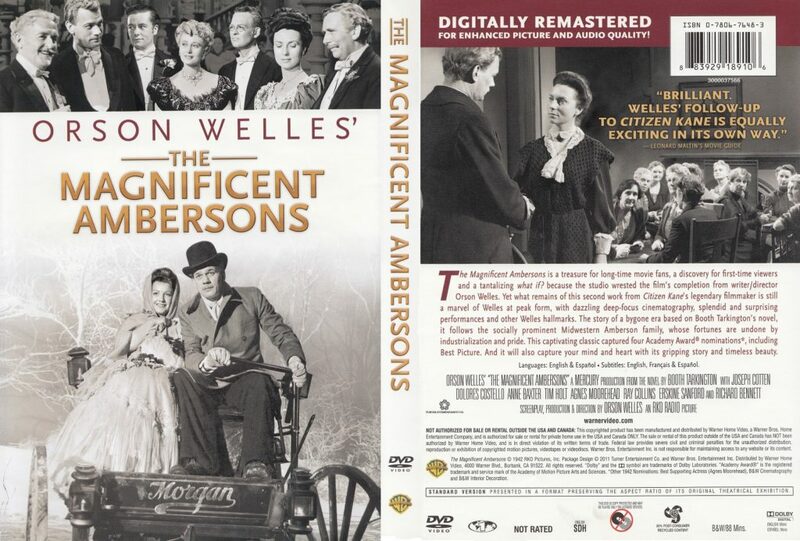 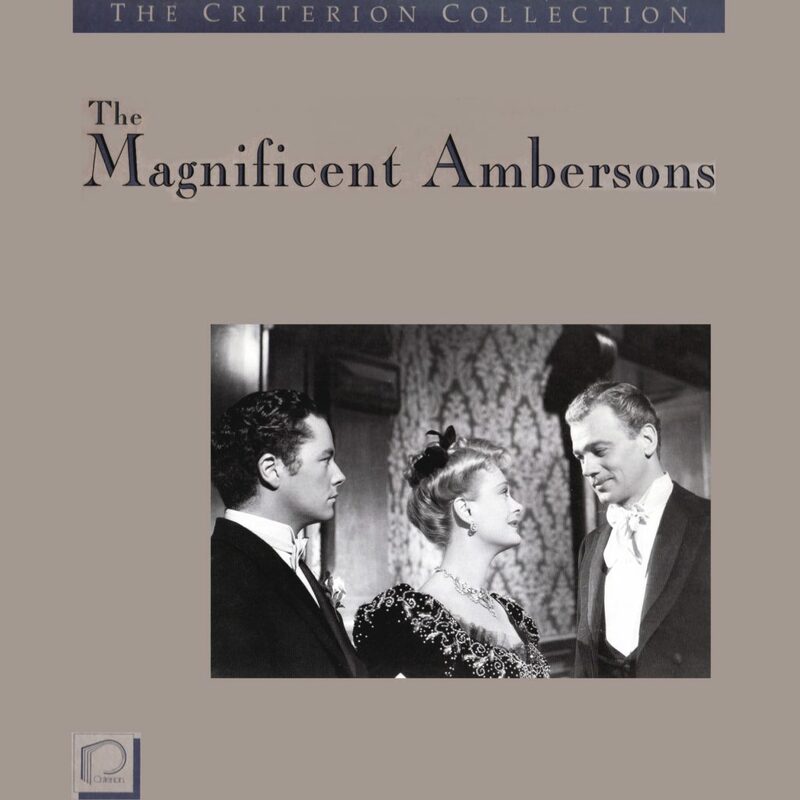 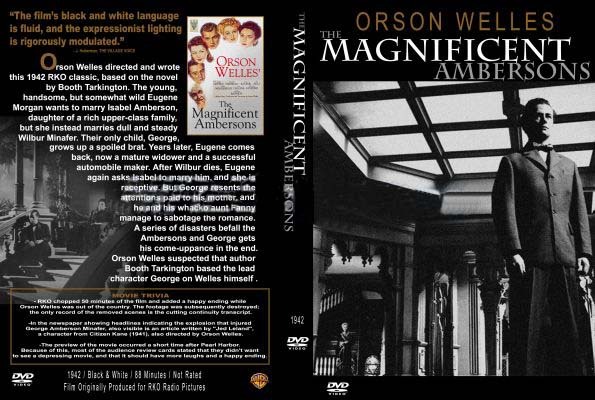 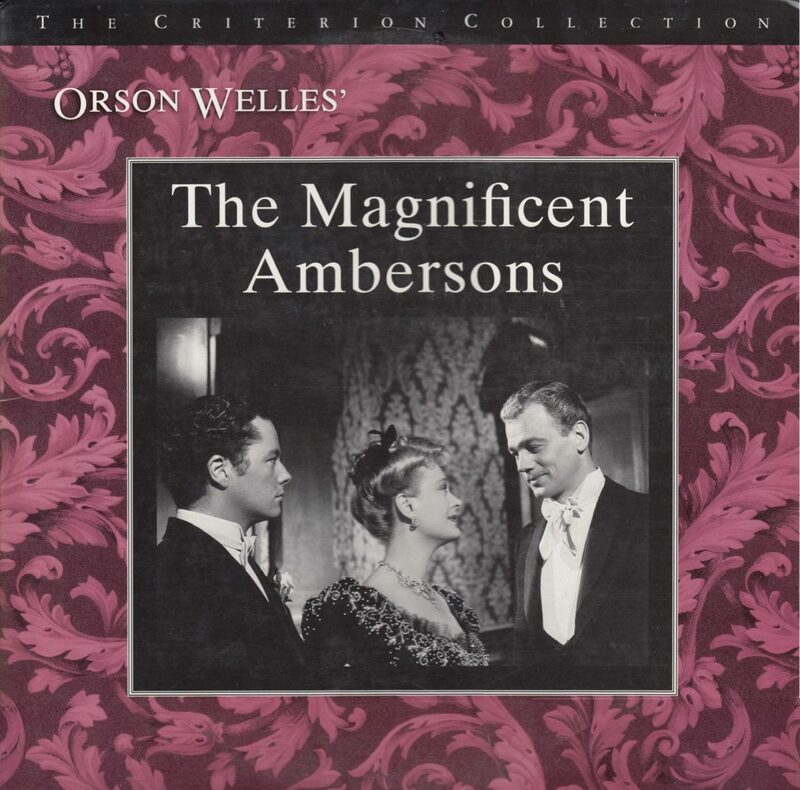 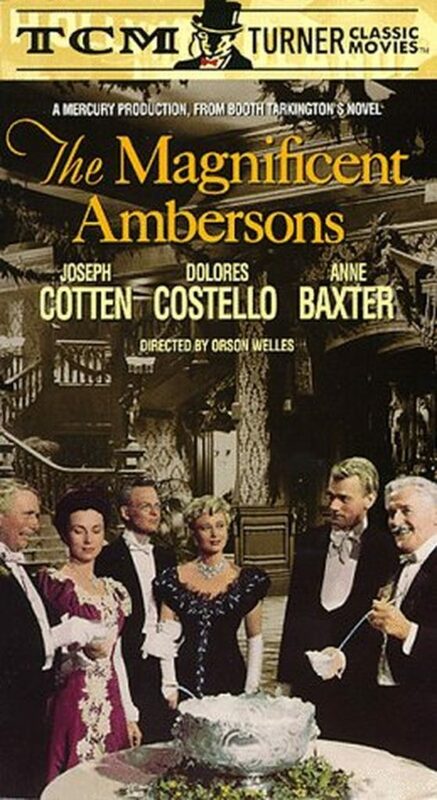 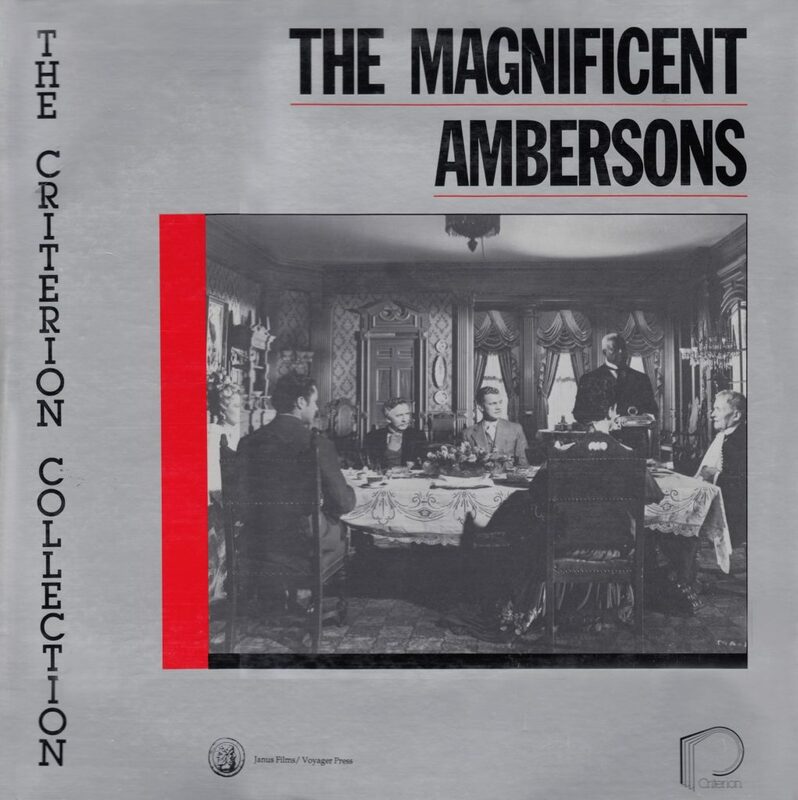 After its initial theatrical release THE MAGNIFICENT AMBERSONS was retired and wasn’t available for a number of years. 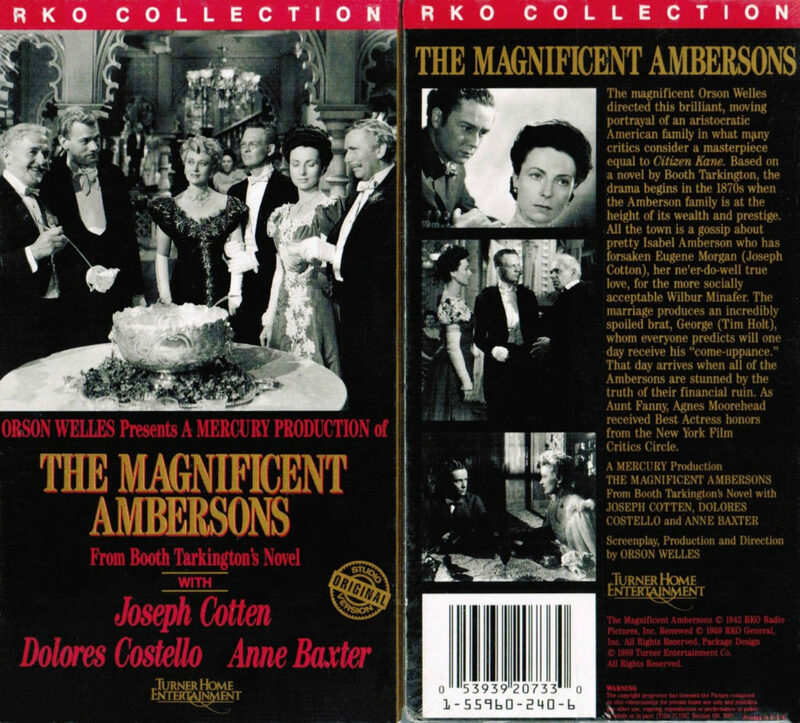 Then, in the 1950s after Howard Hughes ran RKO into the ground C&C Cola purchased the TV rights to most of the RKO Library. 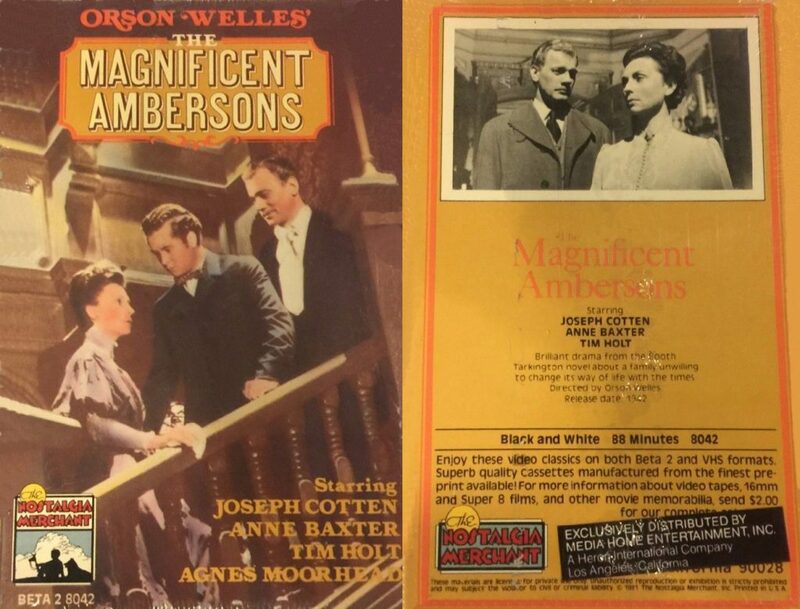 Working with 16MM prints which is what Local TV used in those days, the company removed the RKO logo from the front of these films and replaced it with C&C Presents. 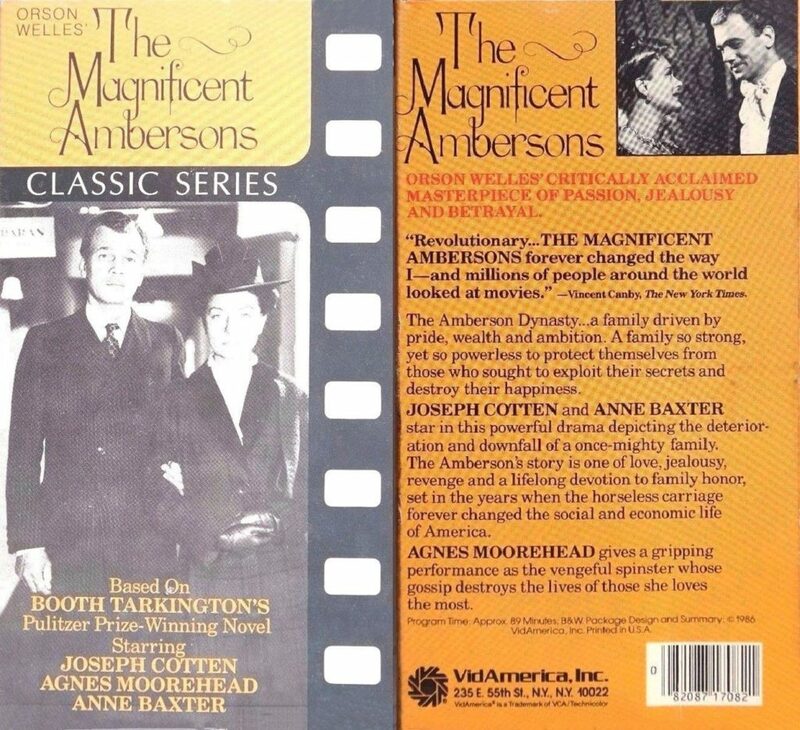 They then gave use—for free—the entire library to TV stations around the country. 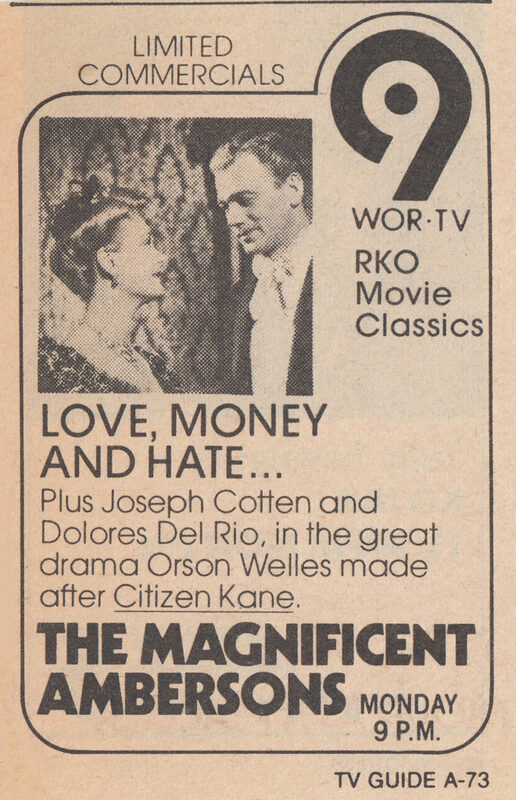 The only stipulation was that they were to run without charge C&C commercials during the film showings of these RKO films. 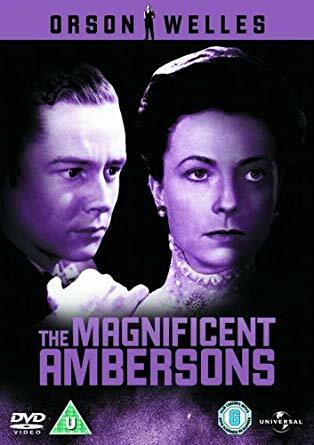 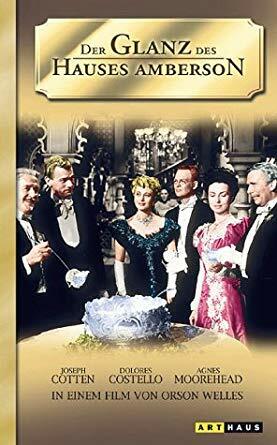 So, from the mid 1950s on THE MAGNIFICENT AMBERSONS ould frequently be seen on broadcast television and occasionally in revival houses. 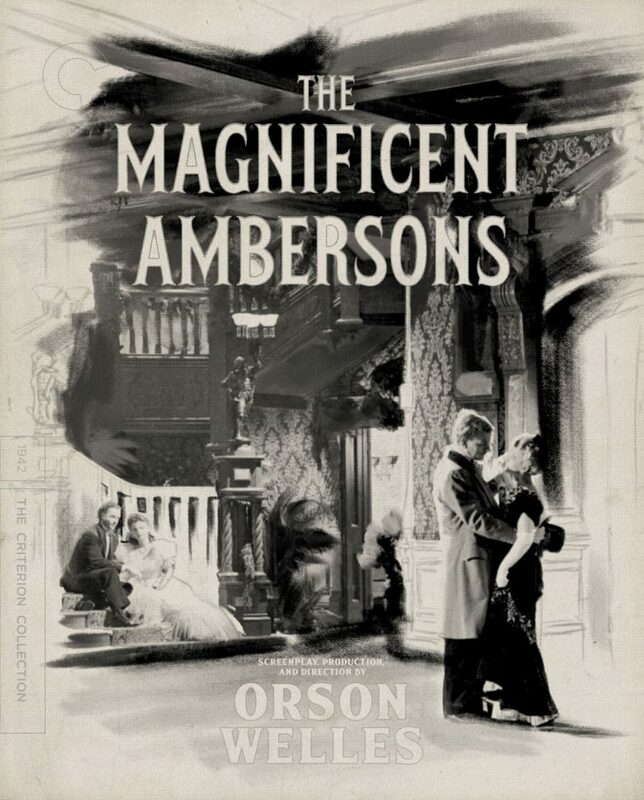 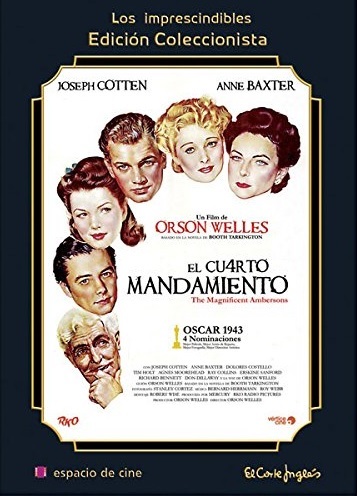 A decade later, and for a number of years after that, Janis Films leased THE MAGNIFICENT AMBERSONS for 35MM and 16 MM theatrical distribution and the film found wider distribution to both theaters and colleges. 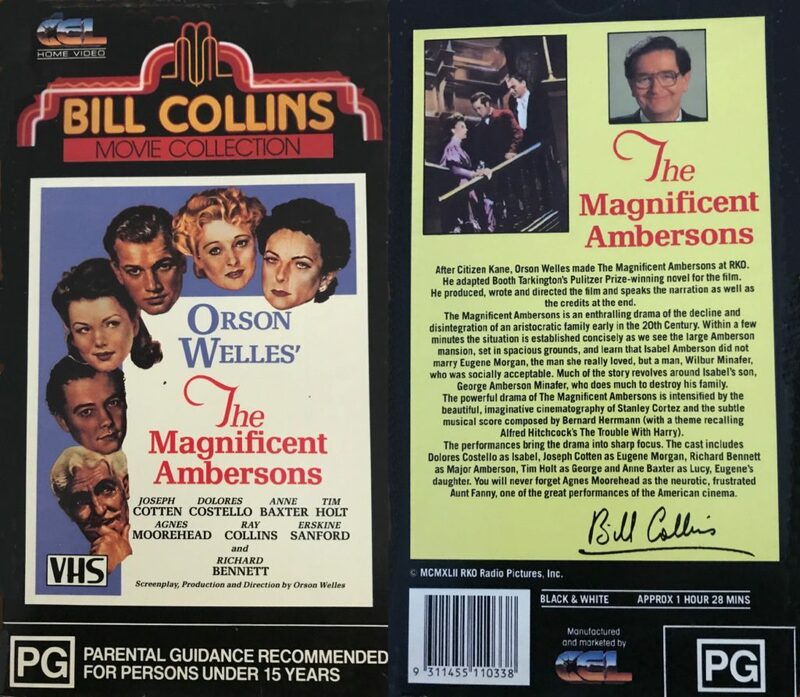 When Home video became available, the film had BETA, VHS, Laser, DVD and BLU-RAY releases around the world; the latest release being in 2018. 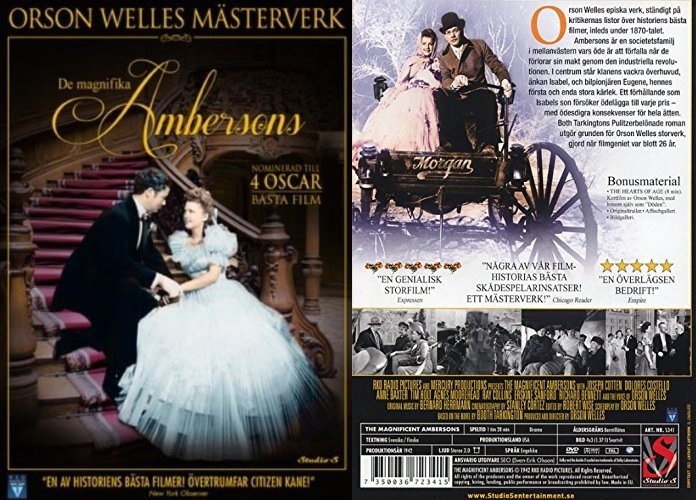 Below is all the ad and packaging material I could find for these various distribution venues. 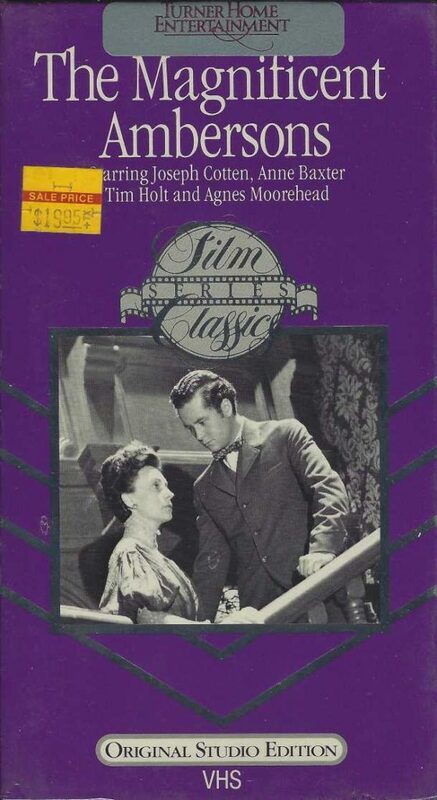 For a period there was a VHS colorized release. 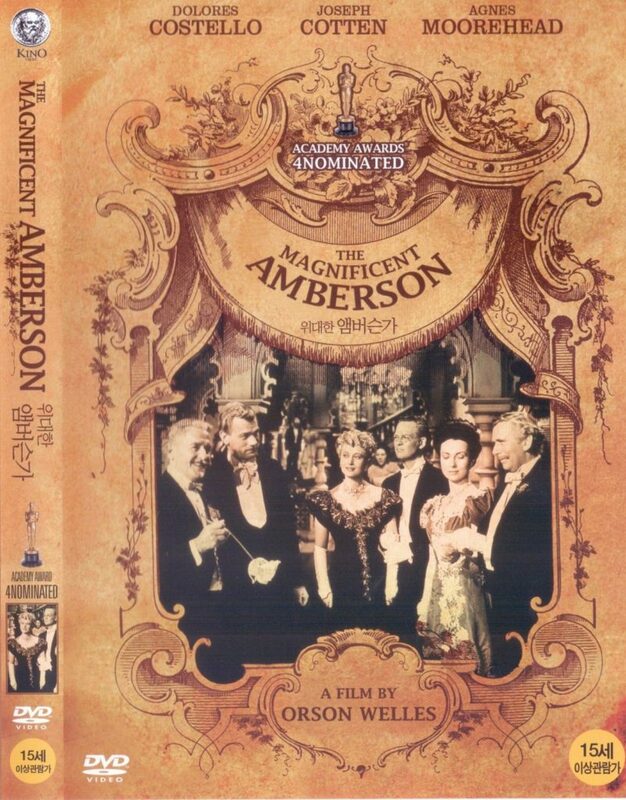 Fortunately, I have never seen it and it is virtually impossible to find today. 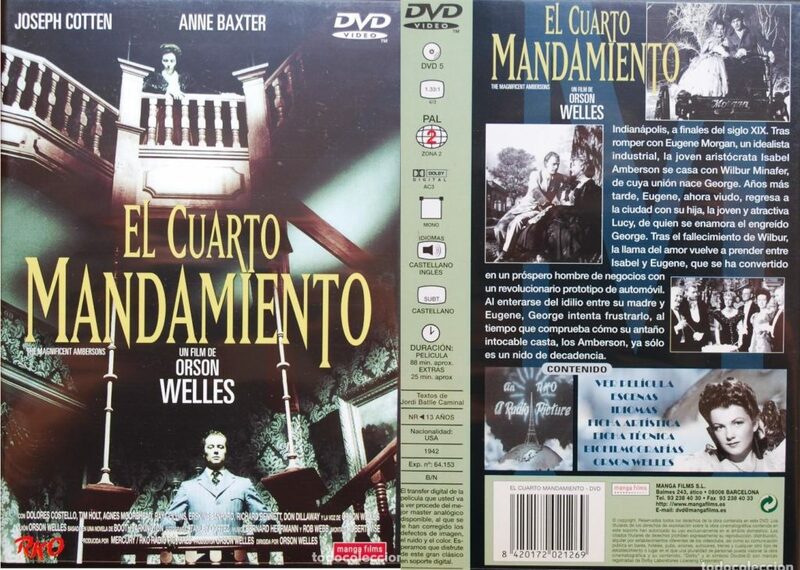 You’ll also notice that some of this packaging uses stills from scenes deleted from the release version of the film.